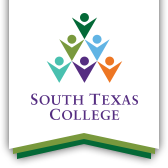 South Texas College will make the most out of new relationships with partners south of the border through the exchange of student talent, quality programs, and its world-class faculty, according to STC President Dr. Shirley A. Reed. STC and Universidad Tamaulipeca have signed a general collaboration agreement to create tools for training through the use of a unique bi-national partnership at least three years in the making. At a special signing ceremony on Jan. 24, Dr. Reed and Universidad Tamaulipeca President Dr. Oscar W. Aguilar Rodriguez formalized a partnership where each institution agreed to begin working together on projects related to research, conferences and new educational opportunities. “They have associate degrees, technical degrees, they offer nursing and allied health programs, and are very interested in a language institute,” Dr. Reed said about her initial visit with representatives from the institution. “In the MOU, we also agreed to work together and sponsor binational conferences so their faculty and students can participate. It is so important for the region that we have these relationships. Both institutions have sufficient capacity to promote plans and programs that lead to an improvement of Higher Education in both countries. Activities will include student exchange, faculty exchange, video conference, and distance lectures. Universidad Tamaulipeca is comprised of three campuses in Reynosa, Rio Bravo and Matamoros. The university says it is dedicated to the training of professionals to develop the skills required to meet the challenges of international globalization, encouraging innovative capacity and competitiveness, generating commitment to continuous improvement and consolidating leading professionals, entrepreneurs, and modifiers of organizations in Mexico.